Words cannot express how thankful I am for all of your patience and loyalty. To show my appreciation, I’m giving away a ton of products that would otherwise just be sitting on my shelf. I might as well pass on potential loves, right? *Note that some of these products have been swatched and/or used, while others are untouched. All products that have been touched, have been sanitized with cotton rounds and 99% rubbing alcohol. If you are uncomfortable with receiving used cosmetics, feel free to give or toss the used items away if you are a Winner. 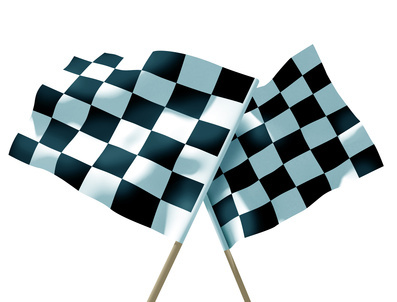 Best of luck to you all! **Also, note that many of the photos have been purposely (and obviously) edited in order to retain a given product’s true color as much as possible. The flash knocks the overall white balance WAY off course. As this giveaway is just for you guys, all you have to do is write a comment telling me about something important in your life; or talk about anything you’d like. Also, if possible, it’d be nice if you could introduce one of your friends (who would be interested in what we discuss here) to our community. Of course, I’m not going to check if you actually do this. Four (4) Winners will be randomly selected from all comments submitted before May 31st, 2014. The first Winner will get to choose ten (10) products from those available. The second Winner will then select the next ten (10) products from those available, and so on. Because the fourth Winner would otherwise be left with the least desired products, he/she will have the opportunity to choose five (5) products before the first Winner chooses. Winners can only choose up to one (1) of each of the following: brush, sunscreen, Sephora Birthday Reward; and two (2) of each of the following: powder, concealer/corrector. 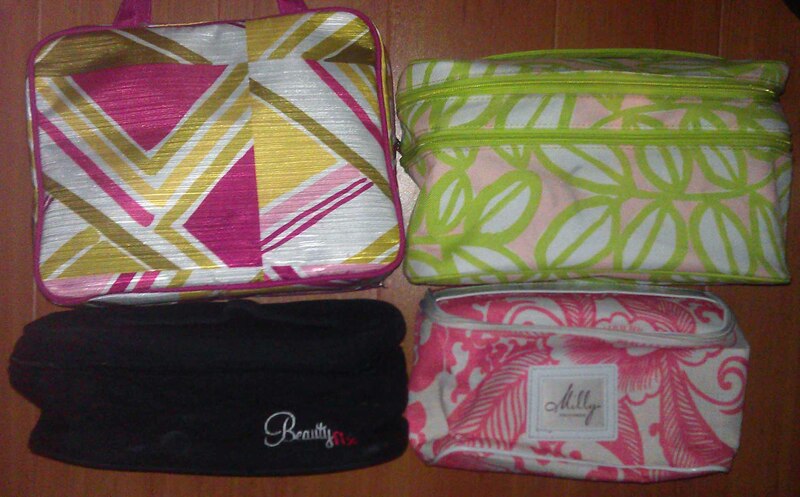 Finally, Winners can pick one of the four bags shown above to hold their chosen selections. The order will once again be: 4>1>2>3. *I apologize in advance for any photos that require you to rotate your head. Sorry! *I would say these shades range from about NC25 – NC40. 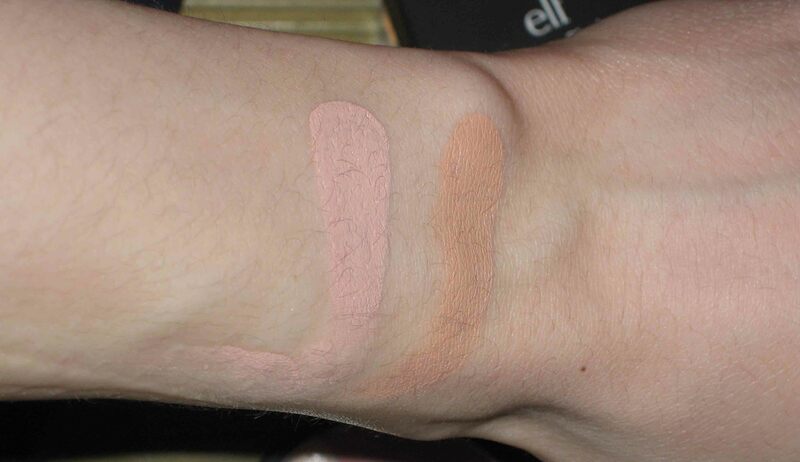 *I would say the left shade is about NW15, and the right shade is about NC15. This product comes with an unused sponge. 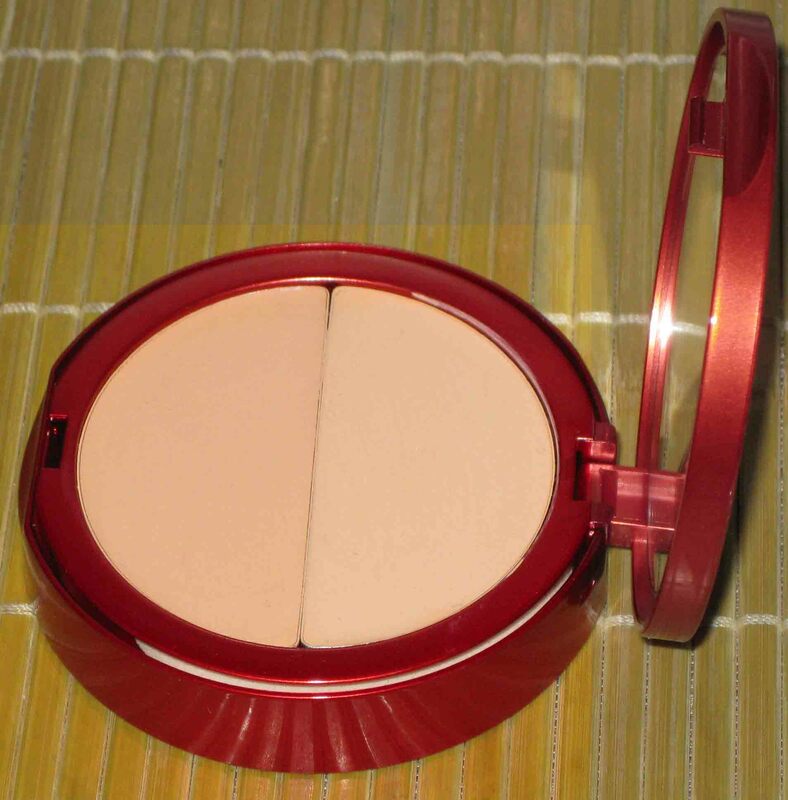 *Apparently this product is one of the highest rated creme foundations/concealers on MakeupAlley, which is why I bought it in the first place. I never got around to using it though. 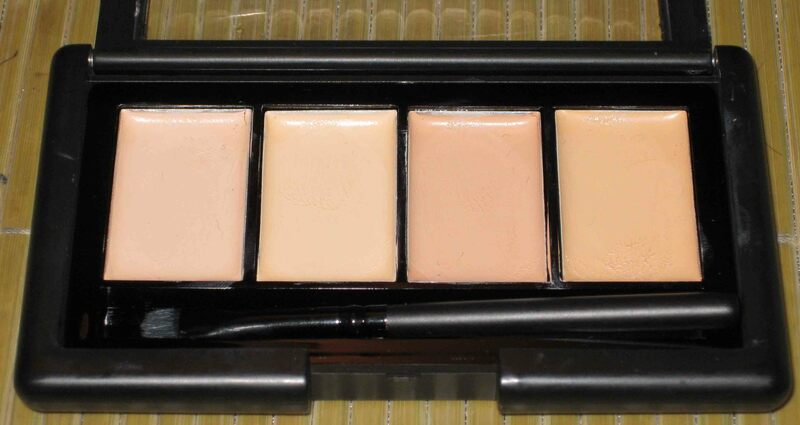 The shades range from about NC30 to NC42/45. I know, right?! Inaccurate photo! So just look at the picture of the Sleek foundations above, and imagine this as a slightly darker version. *I imagine that because these are too emollient, they would sink into fine lines and crease all over the place. But I’ve never actually used these, so who knows? 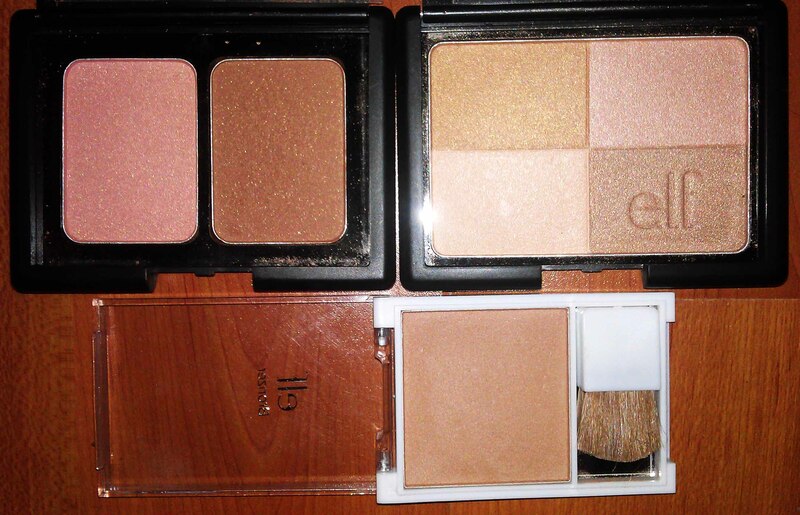 *Apparently these Eve Pearl Products are really famous concealers/correctors, but I personally did not like them. 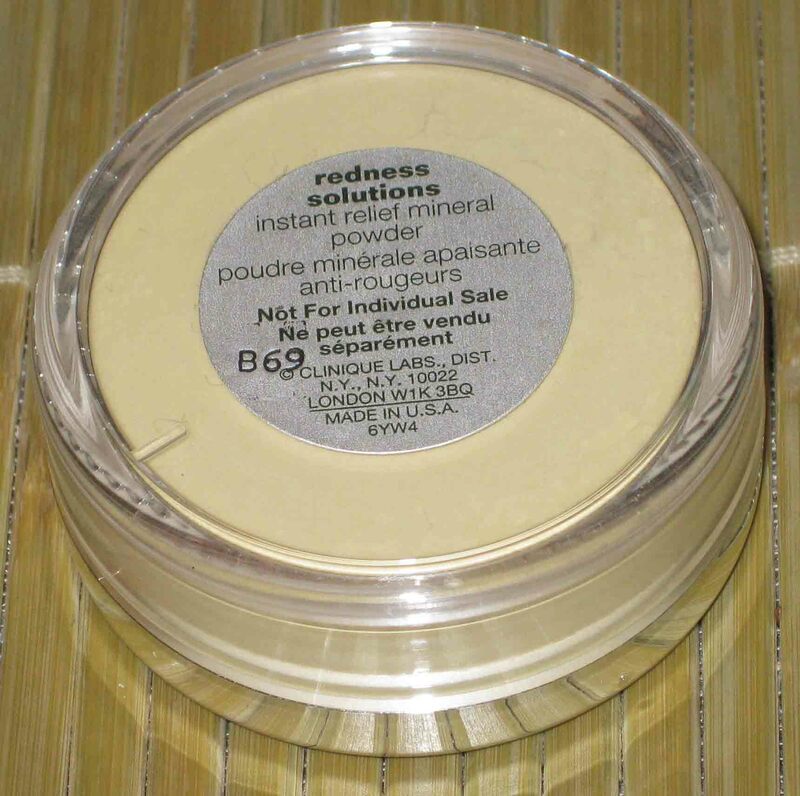 The petrolatum base makes this insanely pigmented, but also quite slippery and prone to creasing. But maybe my technique isn’t very good because many, MANY people love these products. The Dark shade is not quite as orange or vibrant as it appears. 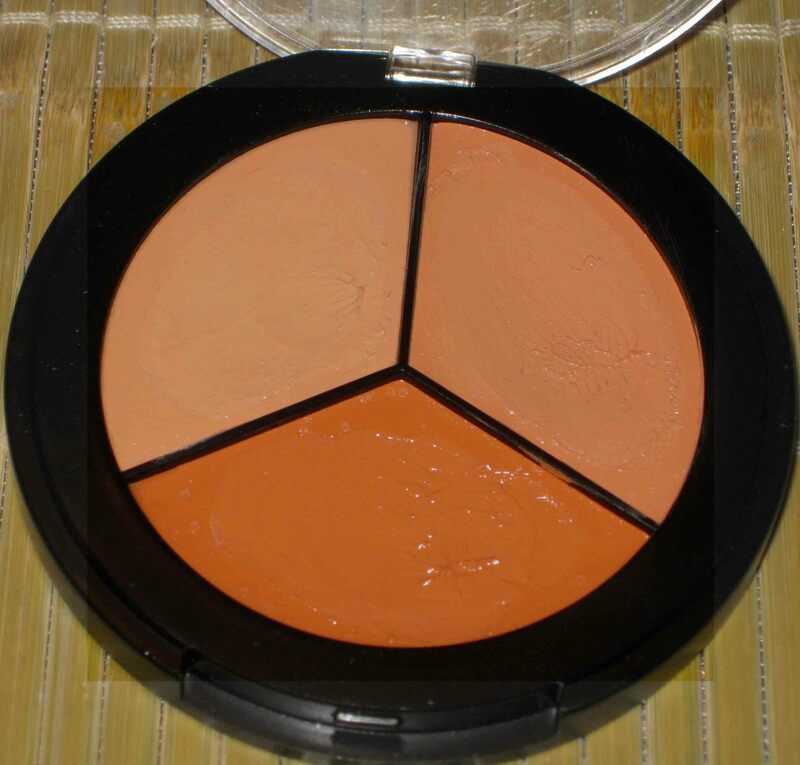 *Unfortunately, the coverage is anything but complete; it’s more light-medium coverage. The shades range from about NW10-NC20. *While there’s no practical way to sanitize this product, because this doesn’t contain water, there is little opportunity for bacterial proliferation. *These white “translucent” powders, like all translucent powders, look chalky and ashy on my complexion. Therefore, I don’t use them. 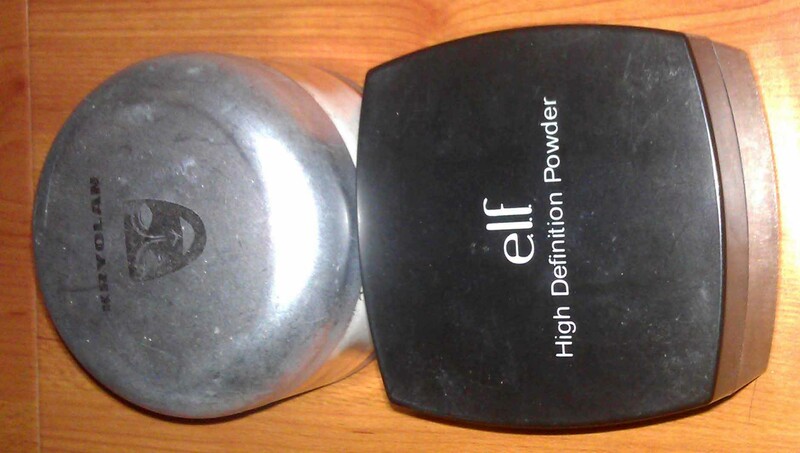 Plus, I’m not a fan of loose powders. 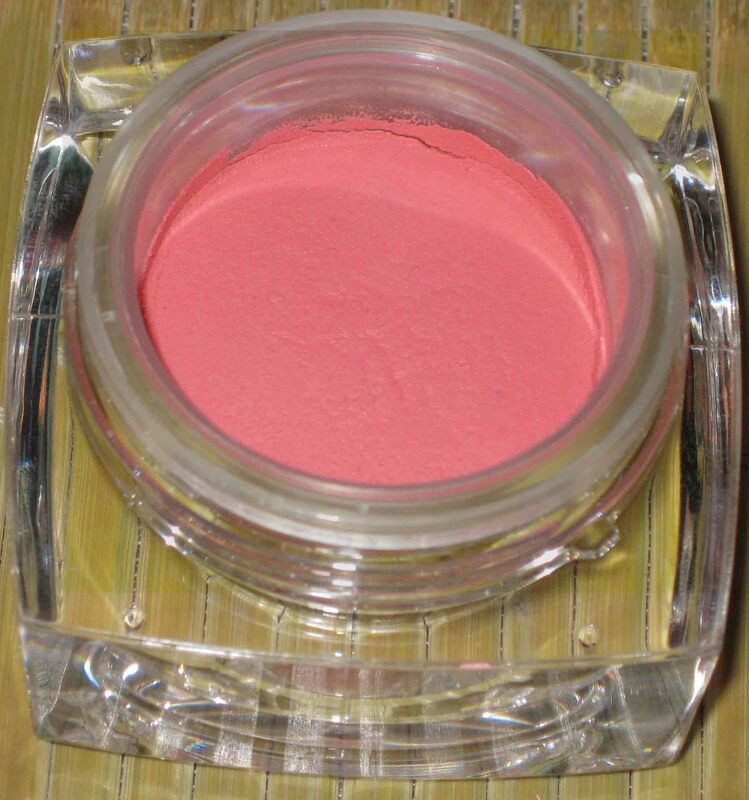 *While the Physician’s Formula Powder provides excellent sun protection (for a powder) due to the high amounts of inorganic UV Filters, the finish is far too shimmery. There are small glitter particles everywhere, which accentuate my large pores and acne scars. Plus it isn’t particularly oil-controlling. 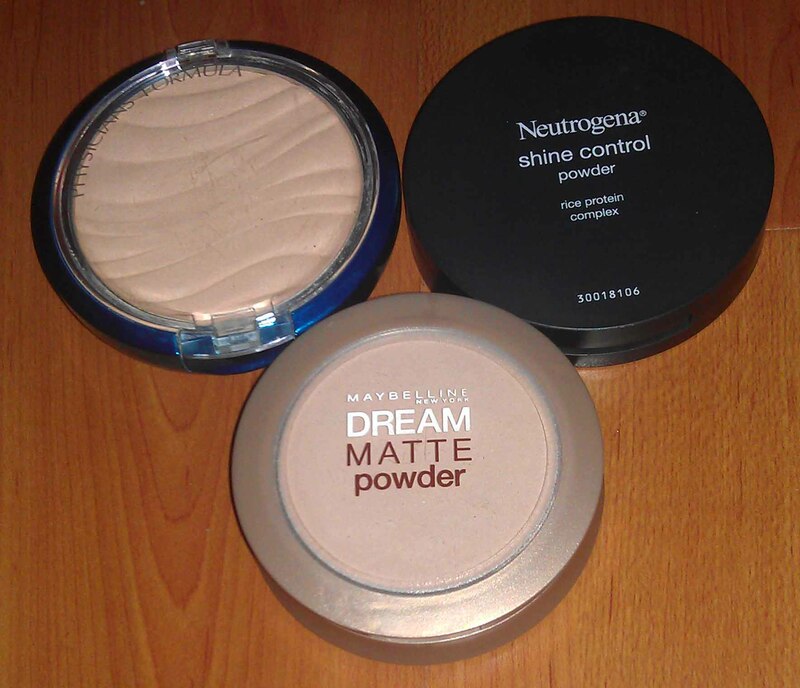 While the Neutrogena powder controls oils comparatively better, its almost “translucent” or white shade makes me look ashy. The texture is also quite chalky. 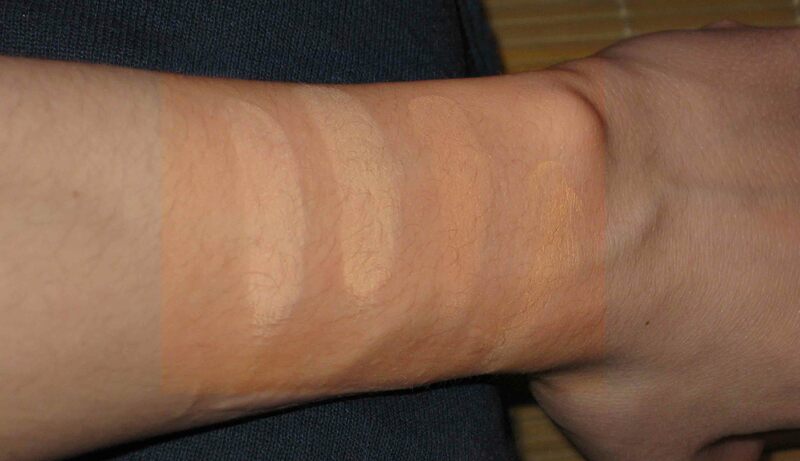 Finally, while the Maybelline powder is both oil-controlling and non-chalky, as you can see from the photo, the shade is rather pink and appears as a weird gray cast typically associated with “tinted” mineral sunscreens. ***I couldn’t quite capture the exact color of this. 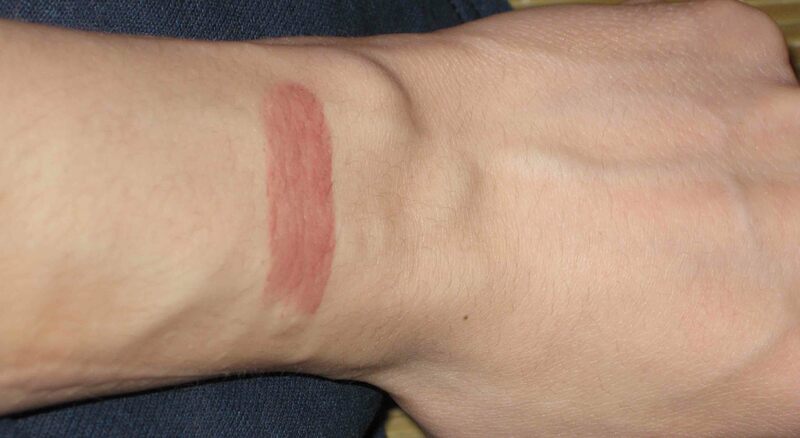 But it’s pretty much a blend of both photos: not quite as pink as the first photo, but less red than the second. There’s almost an imperceptible hint of mauve. 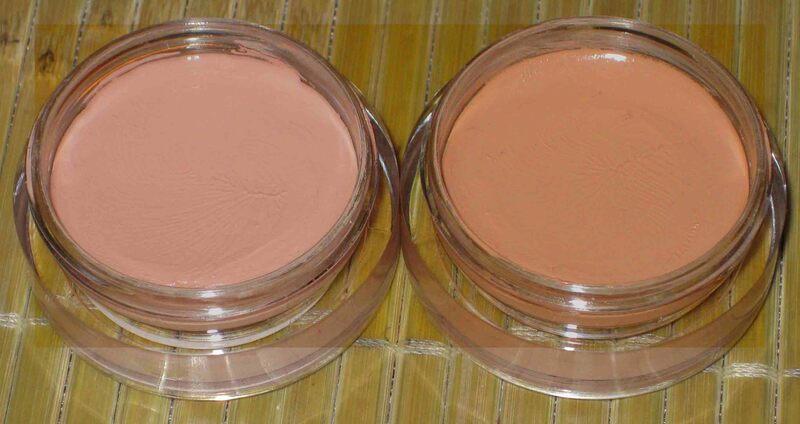 *Again, the color of the blush is a bit more cool-toned, with a hint of mauve. 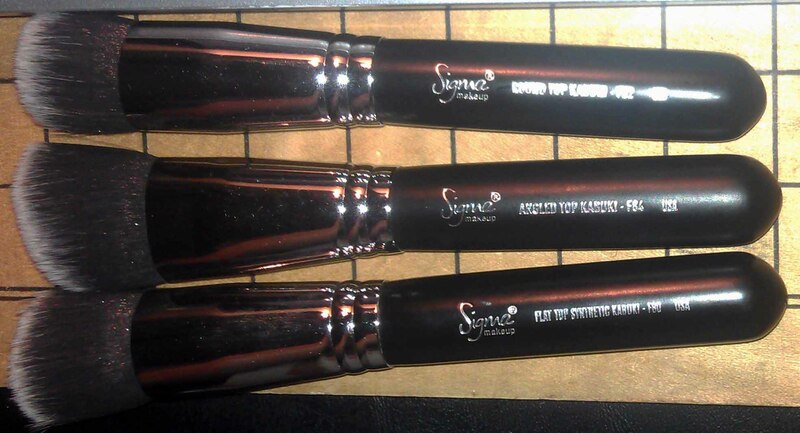 *This contains very faint shimmer particles that create a barely-there sheen-like effect. While there’s no chunky glitter, I prefer something that’s completely matte, since I only contour rather than bronze all-over. 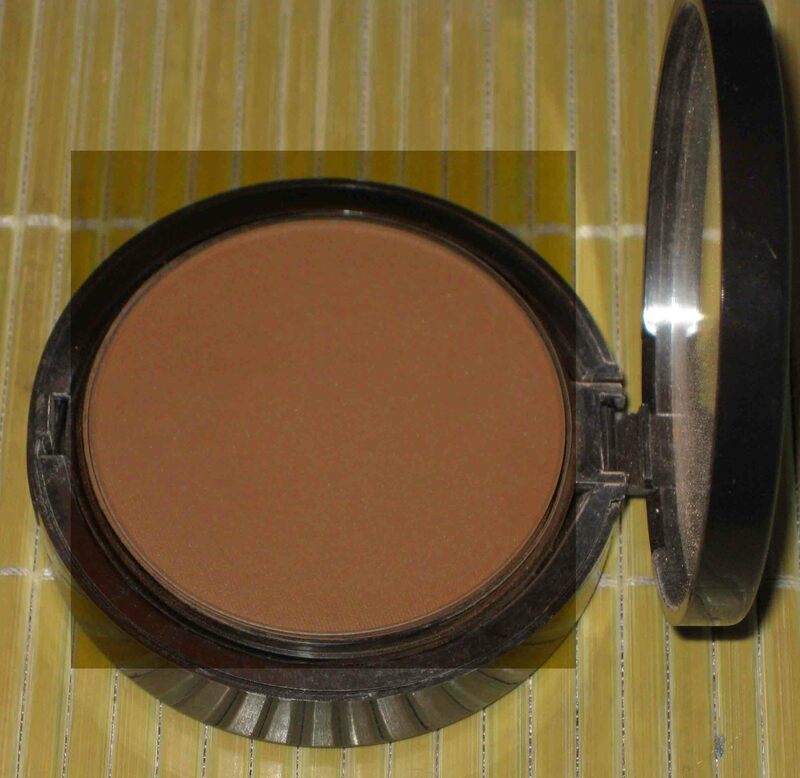 Despite these reservations, it’s still the highest rated bronzer on MakeupAlley. *I would say overall, the colors are slightly less vibrant. Once again however, that doesn’t really matter since this is a highlighter. 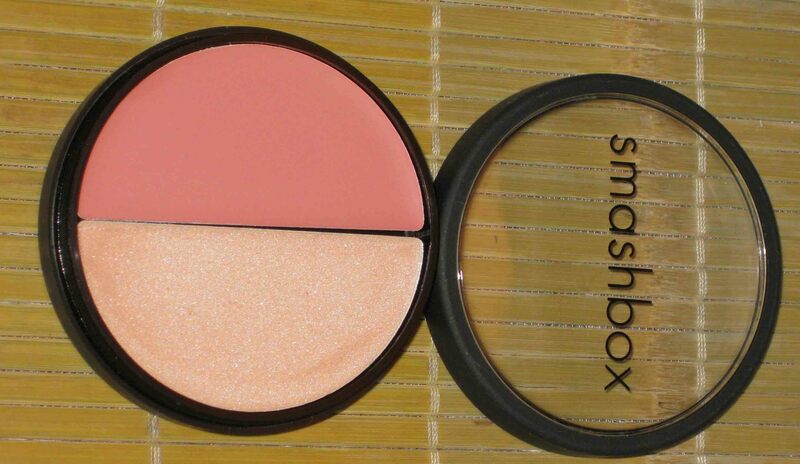 *The color is slightly less pink than it appears in the first photo, but not as orange as it appears in the swatch. But that doesn’t really matter since there is hardly any color to this when applied on the skin. 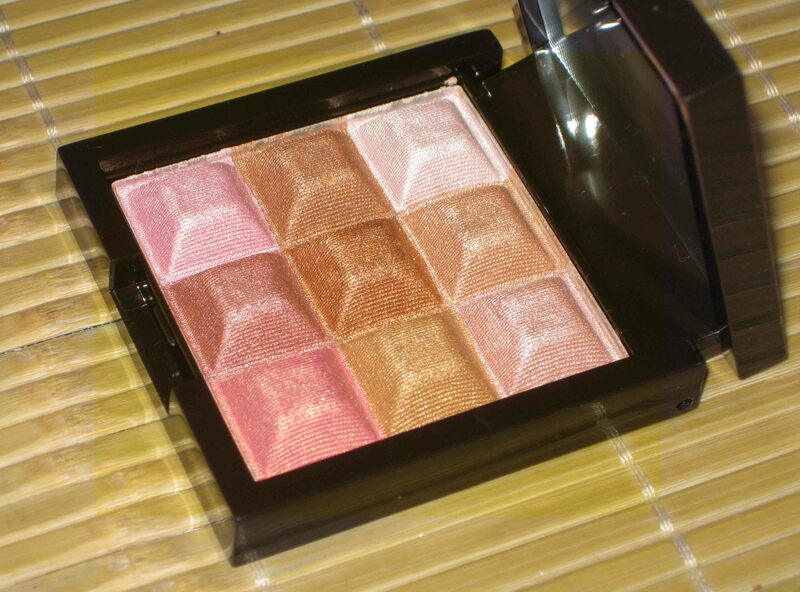 Also, note that this is one of the most highly rated liquid highlighters on MakeupAlley. 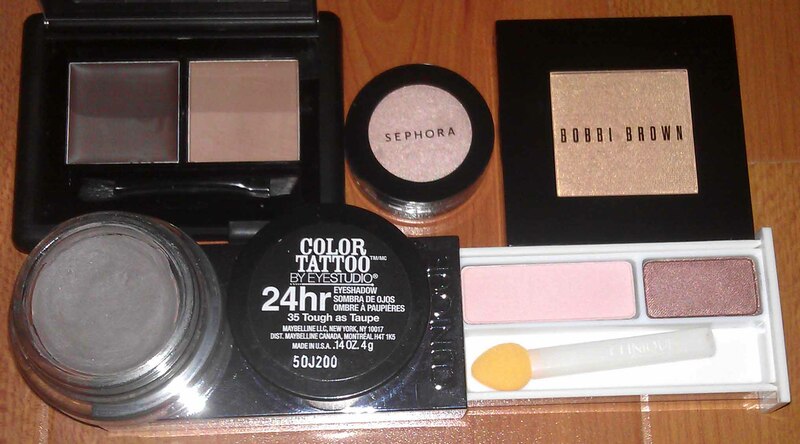 *I bought the Maybelline product thinking that it might be a dupe for my beloved HG eyebrow filler that has long been discontinued, the Bobbi Brown Long Wear Cream Shadow in Ash. Unfortunately it’s darker, more gray, and the texture is not quite as easy to work with. Off it goes! 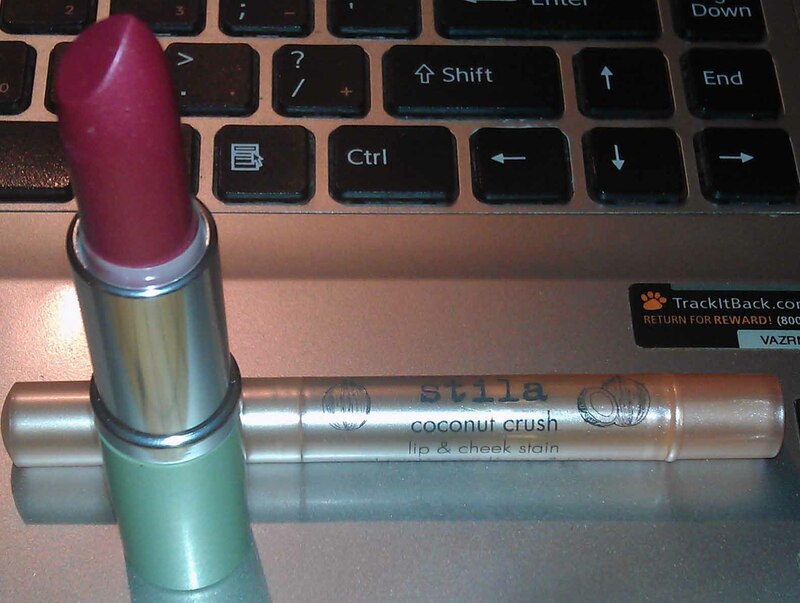 *Note that the Stila product is housed in one of those click-pen type packaging. I’d imagine the color is similar to the color of the package. 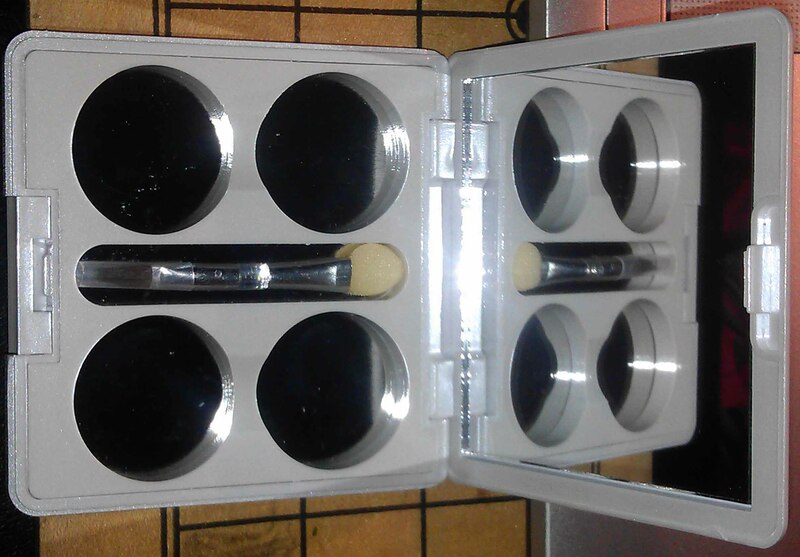 *The eyeshadow part can be easily pried out so you’re just left with a square Z-Palette type of container. The bottom is also magnetic, which is great. *I’ll eventually have full reviews of these products, so I won’t get into the amount of protection, how I used them, etc… right now. Anyways, I find that the EltaMD product is a bit too drying. The tint is also a pretty dark, slightly pink color. 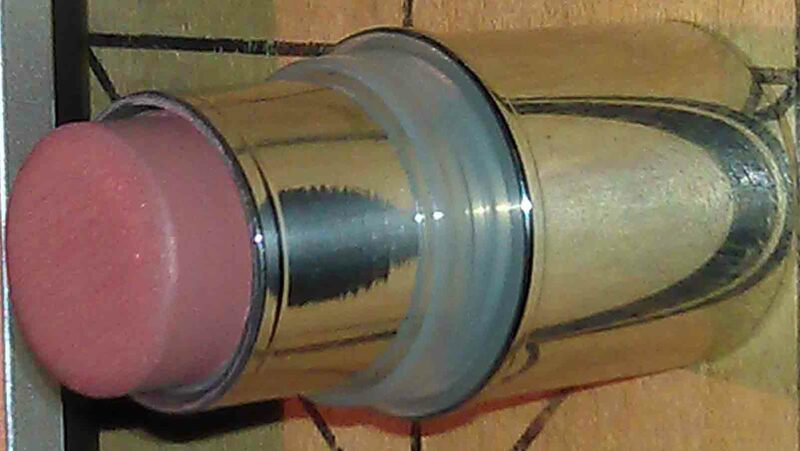 It’s more neutral (meaning more orange) than the tint of the Paula’s Choice product, which is a light very pink shade. But they are both intolerable for my warm yellowish complexion, which also has a tinge of olive. The texture and finish of the PC sunscreen though, is quite divine. It’s a very velvety matte. And that’s a wrap! Again, I really appreciate all of your support and enthusiasm. And I hope you’ll share this blog with your friends, coworkers, and/or family members who are interested in skin care. Hi John. I may be the oldest perso who follows your blog. I’m a seventy year old retired woman who appreciates your scientific approach to skin care. I’ve recommended your blog to my daughter. Your effort is greatly appreciated! And I am so thankful to have someone who has experienced so much life be a part of this diverse community. The world would be a pretty boring place if we were all the same, no? Hi, great to see you blogging again! I am looking forward to the section on rosacea, I think I may have it unfortunately. I haven’t seen a dermatologist yet but will try to convince my dr to refer me to one. My skin has just become more and more sensitive and red, however some days it can look mostly ok and other days terrible! Yes, yes ask your GP to refer you to a good dermatologist. 🙂 Please keep me updated with your situation! Thank you for returning! I found your blog about a year ago when I was thinking about how much sunscreen to use after hearing from several sources that 1 teaspoon was required for the face. That was too much to soak in on my skin. I used the rule of 9s (http://en.wikipedia.org/wiki/Total_body_surface_area) and the “one ounce over the whole body” rule to determine that about 1/4 t should be about right for the face, which is about 1/22 of the total body area. So I was thrilled to see that you’d used a different method to come up with the same answer. Since I found you, I’ve enjoyed reading your other posts. Glad to hear it, Sara! Yes, the 1/4 teaspoon rule is definitely the best and most practical way for the average consumer (that’s us ;)) to see how much sunscreen to use. 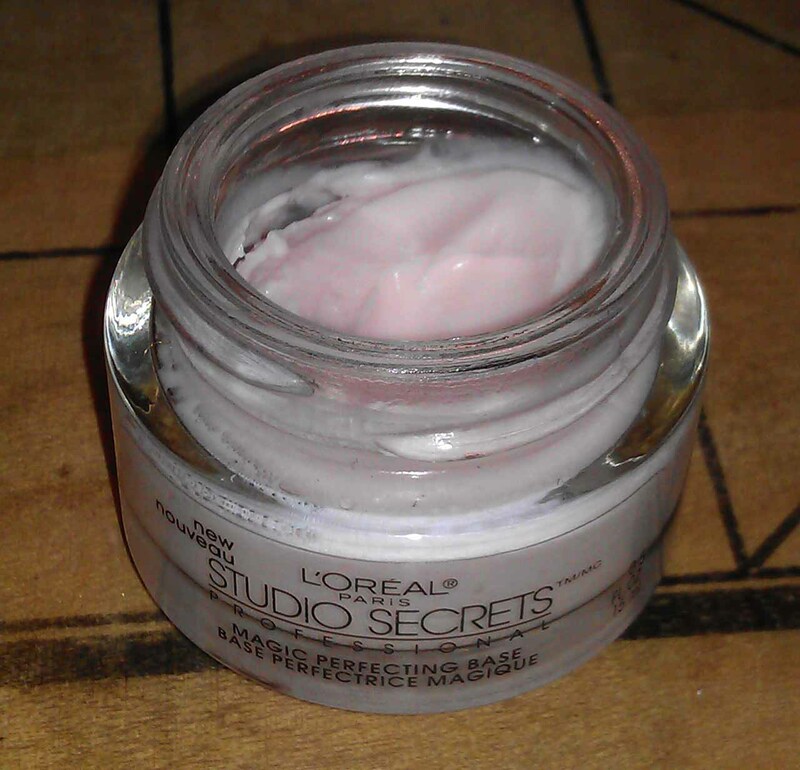 One can certainly use less or more depending on a variety of factors, but 1/4 teaspoon is the standard application amount for the face. We’re so glad that you decided to join this community, and I look forward to more comments from you! Yay, I’m so excited you’re back! It’s so hard to find great quality skincare sites to go to besides just Paula’s Choice! I especially appreciate the scientific-heavy explanations of your posts. (something which I feel Paula lacks in terms of background and expertise) You and futurederm are some of my faves! Keep up the great work!! I love this community of skin care fanatics that you have gathered up. I’m just so glad we’re all back together and communicating again! Anyhoo, needing another fabulous recommendation from you. I know you have moved on from physical sunscreens, but my skin seems to burn a tad when i use the chemical ones so i really need the physical one. I want to use the PC one but it has NO zinc oxide. That just doesn’t seem right…. Woo me too! We is crazy, and it’s awesome! Yeah, I read that the Josie Maran sunscreen was reformulated to a higher SPF with a lower UV filter content, not to mention that it’s now much greasier. Boo! As for a product recommendations, hmm… I’d imagine you’d want something similar to the Josie SPF 40, and honestly, nothing really comes to mind. 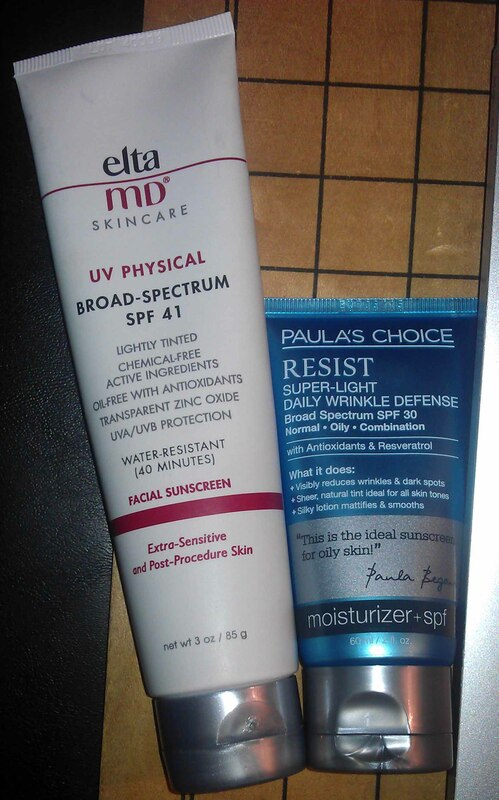 Most of the ones that are as emollient and/or have a lotion-like texture (and provide good UVA and UVB protection of course), are no where near as transparent; you’ll end up with a heavy white cast, which I’m assuming you don’t want. 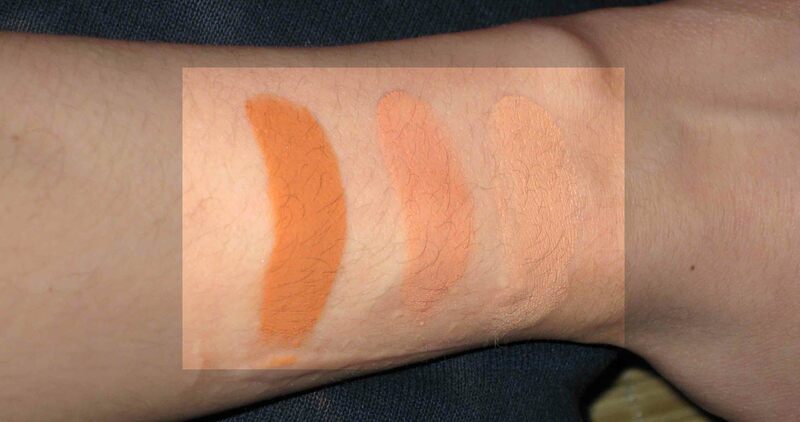 The ones that are better for oilier skin types either use alcohol, leave a white cast, or have a tint that’s generally too dark and too pink/gray. However, one product does come to mind. Note that you’ll likely have to apply a slightly more emollient (antioxidant) moisturizer underneath it because it has more of a matte, slightly-drying finish. Though you’ll have to test it out for yourself. 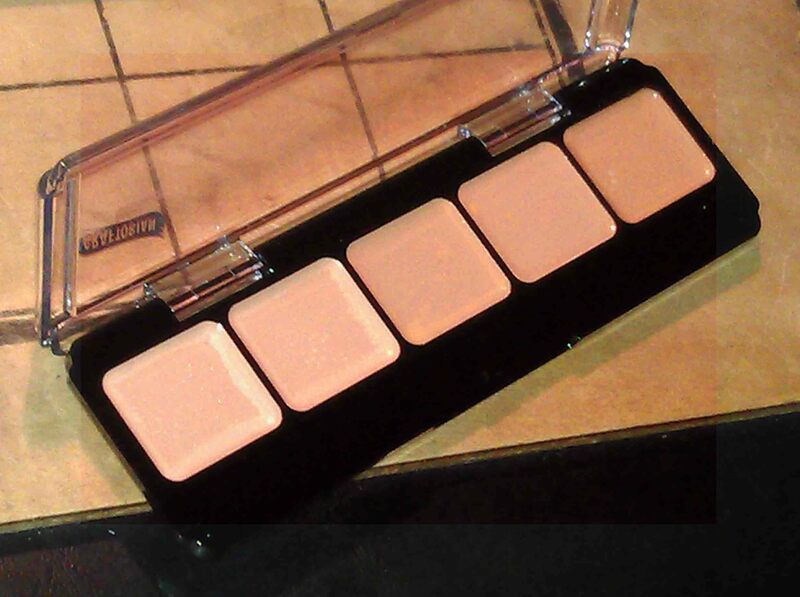 It’s texture is sort of like a primer, so it feels quite light and blends in nicely. 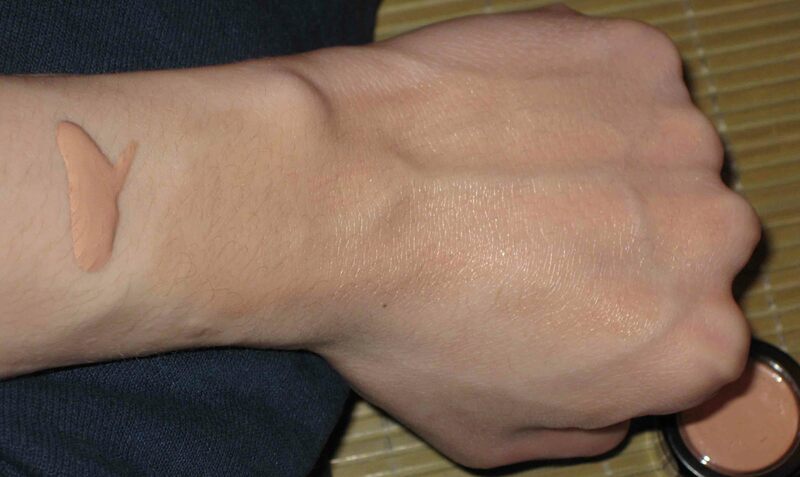 Plus, the white cast is hardly noticeable. It’s the MDSolarSciences Mineral Creme SPF 50. I’m pretty sure it’s available from Sephora, though maybe online only. I’ve already recommended your blog to my nieces. Mostly with, “See, look how smart John is and he knows how important sunscreen is!” Maybe that’s not what you meant, but I think it’s helping. Thanks for all of your hard work and especially your honesty. There doesn’t seem to be much of that on the interwebs. Lol! The effort is greatly appreciated! Any kind of sharing is better than none at all. Oh, and I hope you’re okay that I put both of your comments together. Now, I have seen the Matte for Men lip balm (and its ingredients list). But I decided against trying it because some reviews noted that the finish isn’t actually matte. Plus there’s nothing that spectacular about the ingredients. I also abhor (truly), the smell and feeling of mint on my lips. Plus, the brand doesn’t conform to the FDA’s labeling guidelines of cosmetic products, which lowers my trust of the reliability of the ingredients list. Okay wow, I just went off on a complete tangent. Coming back now, I have also considered the other two recommendations and decided to not try them. But you don’t need to watch me blabber about why I didn’t like them haha. Regardless, thanks so much anyways. Suggestions are always nice! Actually, I don’t think there are any lip balms with SPF that I really like. But you do need to protect your lips from the sun. So in my characteristic traditional non-traditional fashion (see what I did there? haha) I generally recommend people to use a stick sunscreen as their lip balm with SPF. They’re essentially the same thing, but you get way more product for how much you’re paying. And if a given stick sunscreen does not provide enough moisture, you can always apply your regular lip balm underneath. Side question: How do you like the Nuxe Reve de Miel? I’m thinking about trying it because I read that it has a matte finish–something that I’ve been looking for. Right now I have to powder my lips to reduce the shine, which is a hassle and quite annoying haha. Thanks for this giveaway John, and Im glad you are back, I was reading your old posts a few days before you come back. Peoples interest in your blog is just a response to the excellent work you do for us. We were around waiting.Looking forward for more and more posts, thank you again! Of course! You’re super welcome. It’s great to see you back here! Woah! Actually, if ever I would win, I’d love to be last since I can choose first. It would still be sort of like being first, if that makes any sense. Hmmm….the big thing I have right now is the fact that I’ll be leaving in less than a month for college. Goodbye delicious food and cute doggies x.x I haven’t even started packing yet. Or thinking about costumes (part of a week-long orientation seminar). Among other things. Welp. Haha your logic does make sense. However, you would only get to pick 5 instead of 10 products. But I get where you’re coming from! BA Psych, but I’m not really sure what I want yet, so I chose something easy. I know about it 🙂 I think I’m more likely to lose weight though, because my budget will become limited. Or at least, that’s what happened when I did something similar last year during Summer. That’s a great major! Psychology can be applied to most careers, so it’s versatile at the very least. Although, I’ve found that a bachelor’s degree only builds a rudimentary foundation. It’s the clinical requirement of master and doctorate programs that really opens one’s ability to understand and anticipate human experience. Good luck! So sad that I am not living in USA XD. Love the PC sunscreen XD. Aw, well if you win accordingly, I’m happy to mail the PC sunscreen to your country. Unless, customs wants to confiscate it. Haha. Can I ask why you like that sunscreen? Don’t you find the tint off-putting? And don’t worry about not being able to share this blog with your friends. It was a request, not a requirement for the giveaway! Well, the tint is not perfect for me, it is a bit yellowish after a couple of hours but it doesn’t break me out( it is a physical sunscreen!) and even my skin tone. Still, I am looking for my perfect sunscreen (tint which is suitable for asian, ideal for oily and acne prone skin). It would be nice if you can recommend some sunscreens for me. 😦 either chemical or physical is also fine for me. 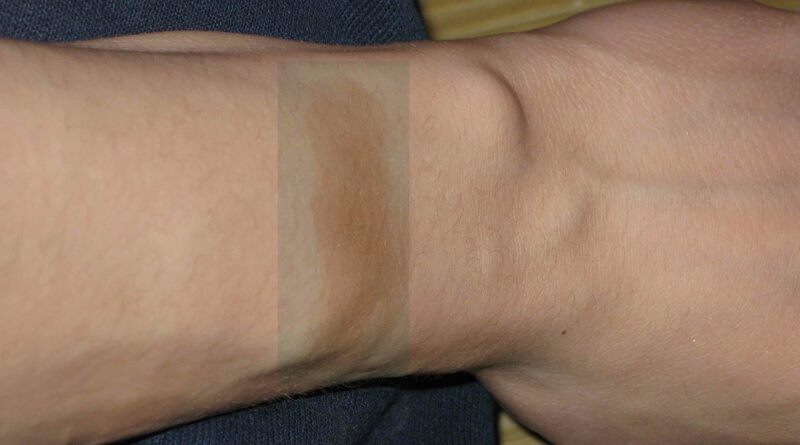 Btw, does the EltaMD UV Clear spf 46 leave a obvious white cast for asian? I don’t believe so; it’s one of the main reasons why that sunscreen is so popular. However, the amount of UVA protection that it provides is just barely acceptable in my opinion. But I’ll get into the actual methodology in the eventual Sun Protection Series. Still, it’s certainly better than no sunscreen. Too yellow?! Are we talking about the same product? 😉 Because I’m pretty yellow/warm/olive toned, and the sunscreen is way too cool on me. It’s not even neutral. It’s just plain PINK. that I go through with adult acne. I trust your product reviews and information. Thanks for the Giveaway! Hey John! I’m really glad you’re coming back to posting! Your return will hopefully inspire me to be more diligent about my skincare, I’ve definitely gotten lazy in the past few months about doing my full routine (and I think it’s starting to show). Really happy that you are back! The only real important thing going on for me is that I have been unemployed way too long and desperately need to look for work but finding it hard to find anything that I want to apply for. I guess I am pretty depressed. Also, I have been using Paula’s Choice exfoliants faithfully for a year and in the beginning they did wonders for my face but lately I have been breaking out a lot. Sigh. In good news, I have perfected baking bread and making Persian tahdig rice. Dang. I’m really sorry to hear that. I’ve definitely been in that situation, and it’s really tough to get back up. but you can do it! For me, I treated my job search/writing resumes/brainstorming as a job itself. So I would get up at the same time as if I had a 8-5 job. So like 6:30. I would get dressed (comfortably; don’t stay in your PJs), go through my routine (minus the makeup and hair), and go to town with my computer and pretend that my “would-be boss” is looming over my shoulder; so no Facebook, no personal stuff. I found that it really helps to be in a business-like environment for the few hours I spent every one of those days. What field are you trying to get into? I’d love to help if I can. As for your skin, when did you notice the new breakouts? Did you change anything in your routine, diet? Stress could have something to do with unfortunately. 😦 But on a positive note, yay for good food! It may be. 😦 Let me know how things turn out! I’m a dude and I just got introduced to this site by my girlfriend. I really like that it’s a guy’s perspective on skincare and since my girlfriend introduced me to this site and made a skincare routine, I’ve noticed that my skin’s become less oily. That’s a really nice touch. Haha well, welcome! I too, appreciate a guy’s perspective. It brings a bit more balance to the female-dominated cosmetics blogosphere. I hope to see more of your insights! Now, I would personally recommend applying a leave-on product rather than relying on a body wash for treating acne, since the time that any active ingredient is actually in contact with the skin, is minimal. Also, note that isotretinoin is definitely a Hail Mary pass, and not to be considered lightly. But before we get into more specifics, can you tell me how effective the Neutrogena product has been for her? How would she characterize her acne? How severe is it? Let me know, and once again, welcome! Also, I’ve recommended my bf to read your blog – I got him started on a skincare routine from the advice/facts I’ve read on your blog! Thanks! I can only imagine how fulfilling and yet difficult that can be. Building those emotional connections, while knowing in your heart that there can’t always be a happy ending, must be just… jarring. I respect the hell out of people like you, whether they be doctors, firefighters, soldiers, who put whatever semblance of their lives on the line. Every day. They recognize that it’s only about the people. Nothing else. I really hope that you never stop trying. On a less serious note, I appreciate the gesture of introducing your BF to our community. I’m sure he represents a large part of your support system. Work it, girl! So excited to have you back! Your unbiased recommendations are far better than the famous dermatologists who have their own lines to promote or the popular beauty bloggors latest HG products! I am a skin care and beauty product fanatic and your advice and recommendations have saved me tons of money. I am constantly telling my friends about you and they are excited as I am to see your new ideal skin care routine. Thanks so much for all your hard work and dedication to providing us with the best skin care advice and recommendations! I really, REALLY appreciate all of your continued efforts and am so flattered, as always. I hope everything is going super well! Before finding futurederm and paulas choice I was always so depressed about my skin thinking I was doomed to acne and scars. Now I am a skin care addict and will follow you forever. I should be studying but as I am addicted to this website I can’t- the struggle is real.